The overclocking scene looks set to receive a massive boost following ASRock's announcement that it had enabled non-K base clock overclocking on its Z170 motherboards, as both it and MSI detail plans for extending support. Currently, MSI's compatible models includes the XPOWER GAMING TE, GAMING M9, GAMING M7, GAMING M5 and G45 GAMING, with the baseclock overclocking enabling BIOS versions available from here - at time of writing, only the XPOWER was available but MSI has told us the rest will follow soon. As for the first to the party, ASRock has announced that so far at least 21 of its current lineup of Z170 boards can tap into the baseclock overclocking, including some of its cheaper boards such as the Extreme 3, Extreme 4 and Z170 Pro4S, the latter retailing for less than £90. As we reported a few days ago, using the new overclocking method will prevent the CPU's IGP from operating as it needs to be disabled, requiring the use of a discrete graphics card - not much of an issue for gaming systems. MSI also claimed that the CPU won't be able to drop the CPU frequency under light loads - it will only run at the maximum turbo ratio. 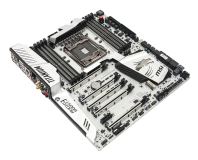 ASRock's list of motherboards with a compatible BIOS version is extensive. MSI also stated that it's unclear how long this method will work, describing it as a 'bug' that may well be fixed by Intel in a future update, although as MSI correctly pointed out, this is what it said about the ability of non Z97 and Z87 chipsets to overclock K-series CPUs, and as far as we know this still works. It's a very interesting development from motherboard manufacturers, especially as for example, a Core i5-6400 currently retails for more than £50 less than a Core i5-6600K, yep sports the same amount of cache. Will you be taking advantage of the new overclocking technique? Let us know in the forum. 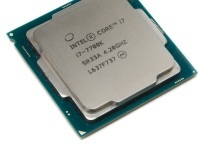 We put the new i5 and i7 K-editions through their paces along with the Z270 chipset. It clearly scores well in the looks department, but is MSI's flagship Titanium board worth buying?